Scrooge, Peter and You. A call to action. I serve as the vicar of two local churches in the North West of England with small but stable congregations. At times, it can seem that there is not much hope for the church as fewer people are attending than years ago. However, this is not the case – there are fewer attending but there is a sure and certain hope. The first reason to believe that the church will grow in numbers is that Jesus promises to build his church. The second is that God has called together some great people with the gifts and abilities that are needed – that is to say: I am hopeful because you are part of the church. And thirdly I know there is hope for the future of the church because growth and transformation have happened before. Two hundred years ago, in the early 19th Century, as astonishing as it may seem, Christmas in Great Britain had become almost extinct. The Times newspaper did not mention Christmas once between 1790 and 1835. Not once! However, Charles Dickens was instrumental in reviving Christmas during the Victorian era. 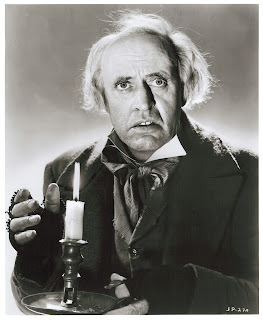 He wrote his book ‘A Christmas Carol’ in 1843 for several reasons. Unemployment and famine was widespread. About 1 in 10 people were as poor as you can possibly imagine, or worse than we can probably imagine. Dickens wanted to challenge the Government and the wealthy to act with generosity and with compassion and so his character Ebenezer Scrooge brings that challenge into focus. Nowadays, not many people want to be like Scrooge at the start of the book. I guess we all hope we can become more like the joyful, genial, generous Scrooge from the last scenes of the book or film. Dickens’ book helped to revive Christmas traditions of generosity within our country. And just as Dickens story revived Christmas so our own personal stories of God’s faithfulness can revive the church. In the following verse Peter is referred to, now it’s our turn. And I tell you that you are Peter, and on this rock I will build my church, and the gates of Hades will not overcome it. Matthew 16:18.